Vintage Old Postcard. 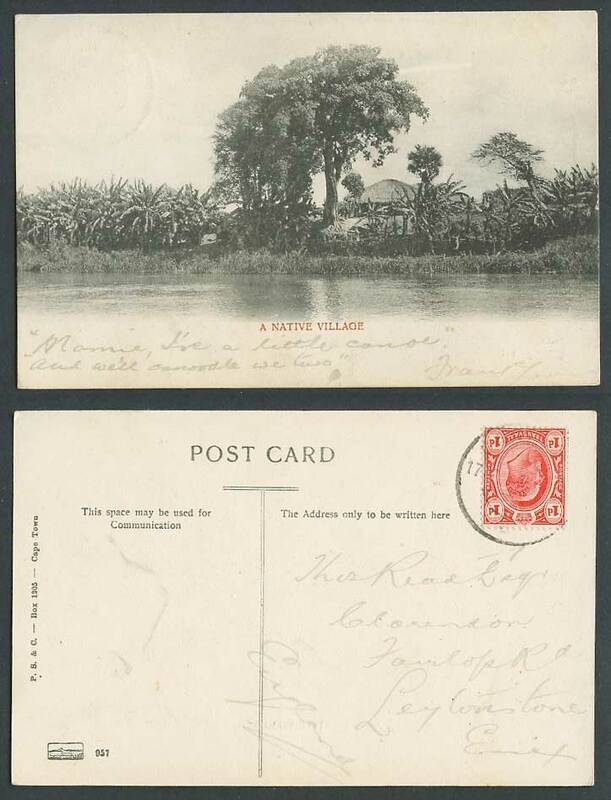 South Africa, A Native Village by River Scene. Palm Trees. Houses, Huts. Postally Used in 1904 with Transvaal King Edward 7th 1d stamp.